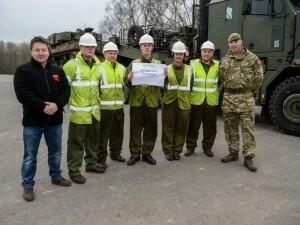 On Tuesday 15 March, the senior soldier in the British Army, Army Sergeant Major, WO1 Glenn Haughton visited soldiers on Salisbury Plain who are involved in four of the Army’s many Apprenticeship programmes being conducted by the Royal Logistic Corps, Royal Military Police, the Intelligence Corps, and the Royal Corps of Signals. 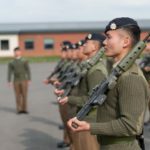 Almost all of the 12 RLC soldier direct entry trades have apprenticeships and the RLC, in conjunction with Pearson TQ, is leading the way in professional qualifications obtained during career development. 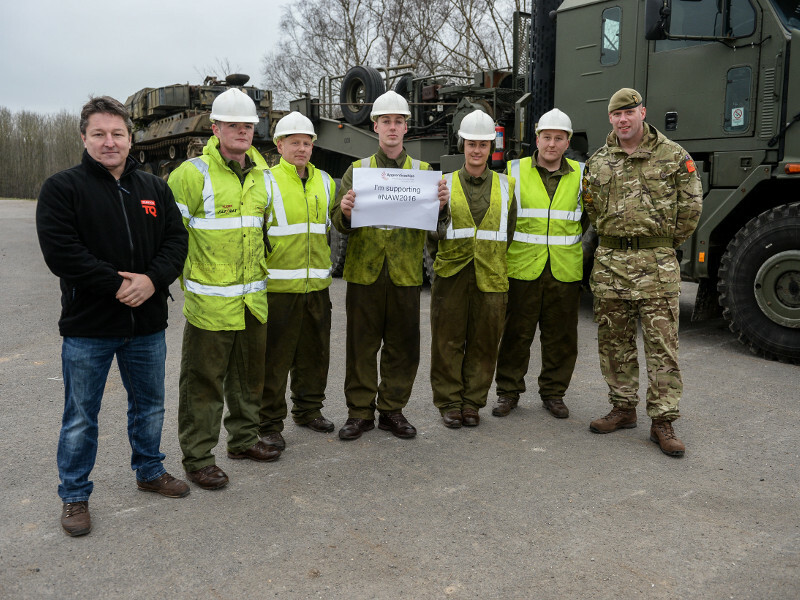 WO1 Haughton spent time with RLC Tank Transporters and learnt how to winch on a tank hulk under the guidance of a qualified Driver Tank Transporter Operator who is also doing an NVQ. WO1 Haughton said: â€œIt was a pleasure to visit soldiers today who are enrolled on four of the Army’s many apprenticeship schemes. 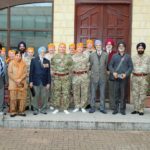 As someone who joined the Army with very few qualifications I am really impressed by the range of opportunities now available to our soldiers and am taking a keen interest in new developments for soldiers’ education. 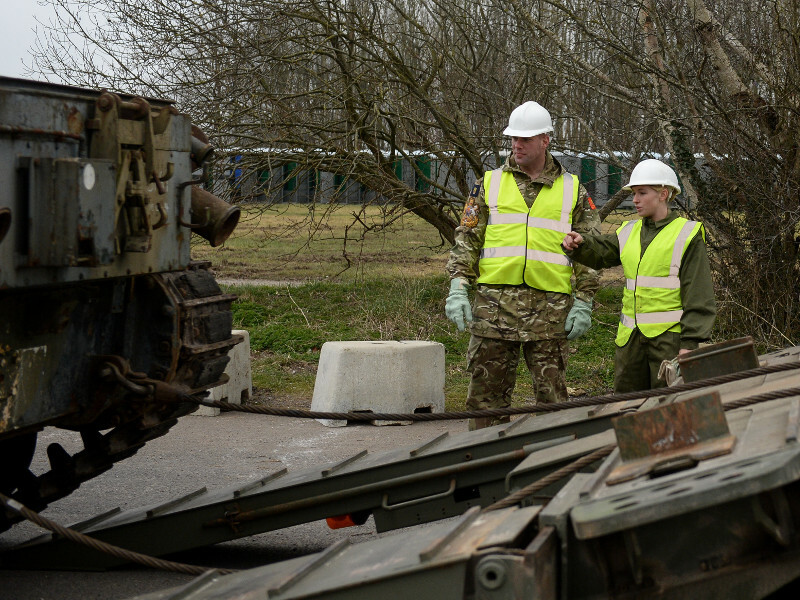 In addition to developing their professional and educational capabilities – critical for meeting the complex challenges we face today – initiatives like the Army Apprenticeship Programme give soldiers valuable civilian qualifications and help to maximise talent. These things help us attract new recruits into the Army and, I hope, to ensure that serving soldiers remain keen to stayâ€. 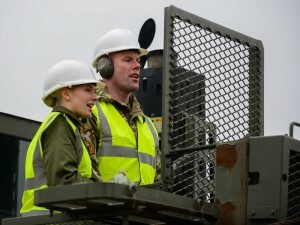 The Army has the largest apprenticeship programme in the country, with about 95% of new soldiers taking part, and around 8,000 completing their apprenticeship training each year. 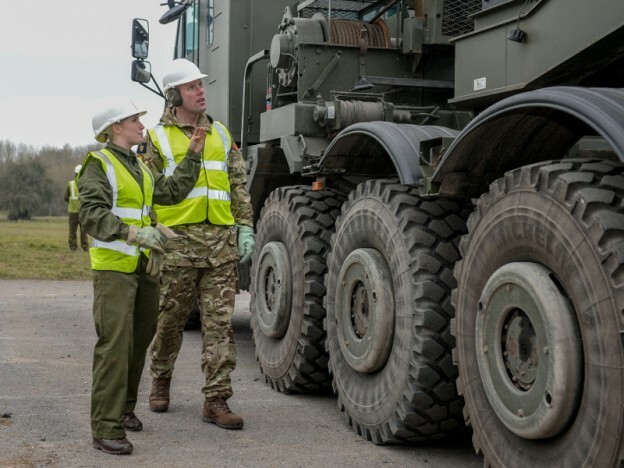 Army apprenticeships are part of a nationally recognised scheme, giving soldiers the chance to work for an employer at the same time as studying for a relevant, work-based qualification. Earlier this year the Army attended a reception at No 10 Downing Street, in recognition that the 80,000th apprentice had signed up to a course. 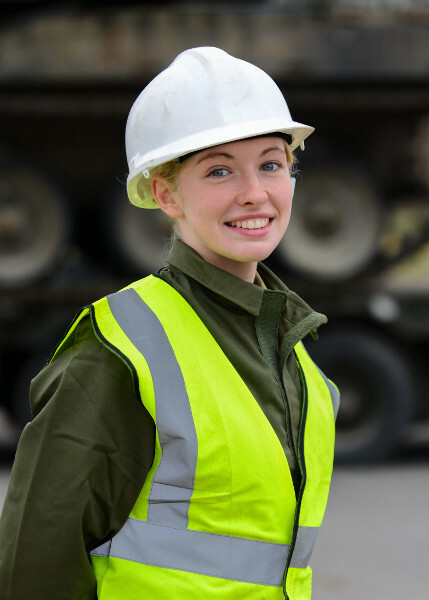 The Army offers a viable alternative to Higher Education and Further Education (HE/FE) and provides apprenticeships at various levels which allow you to work and get paid to learn and train. 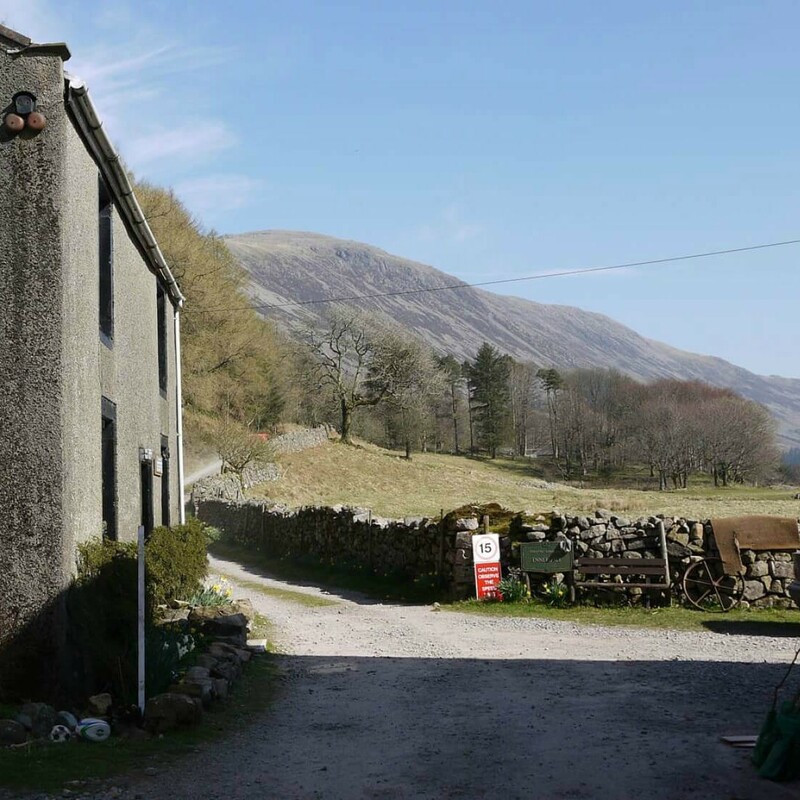 Each apprenticeship fits in with military training and is closely related to a soldier’s Army role, so as well as becoming a better soldier; they are working towards a qualification that will be valued by civilian employers. An Army Apprenticeship is only the start. There are opportunities to progress to higher level qualifications. Apprenticeships and subsequent opportunities to gain further recognised civilian qualifications through career training and elective learning build the potential for a long and fulfilling Service career, and an exceptional second career once our people leave the Armed Forces. The Army is investing and equipping our people for a life beyond Service.